Pittsburgh, PA – December 14, 2012 – Production Consulting Group, LLC a Pittsburgh - based emerging technologies consulting, video streaming, and media production company, is pleased to announce that they have once again teamed up with Renda Broadcasting and WSHH- 99.7FM to stream Make A Wish TV live at WSHH.COM as part of the station's annual charity effort to raise money for Make A Wish Foundation of Greater Pennsylvania and South West Virginia, to make "wishes" come true for children. "We are very proud to once again be a part of this long standing effort on the part of Renda Broadcasting and WSHH-99.7 FM to donate their services, talents and airtime to make a difference in the lives of so many children in the tri-state area", says Jeff Waller, President of Production Consulting Group. "Being able to broadcast the stories of how children's lives have been touched by the once in a lifetime experiences provided by Make A Wish of Greater Pennsylvania and Southern West Virginia with viewers has been very rewarding personal experience for our company and it's employees." This year's internet broadcast will originate Live from the Monroeville Mall in Monroeville, PA and The Mall at Robinson in Robinson Township, PA. The LIVE broadcast of Make A Wish TV will be streamed on www.wshh.com beginning at 10am on December 14th and continue until 3pm on December 21, 2013. To view the show, go to www.wshh.com and click on the "Make A Wish TV", banner on right side of homepage. Donations can be made to Make a Wish of Greater Pennsylvania and Southern West Virginia by calling, 1-800-676-WISH (9474). 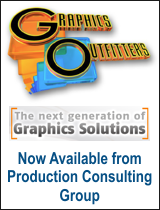 *Based in Pittsburgh Pennsylvania and founded in 2004, Production Consulting Group provides a variety of services to the clients across the country in the areas of emerging technologies consulting, video streaming equipment sales and services and live video production. They have received national and regional attention for their work in sports production, educational training and system integrations. *Renda Broadcasting is the tenth-largest privately held radio broadcasting company in the United States, based on revenues. RBC owns and operates 19 radio stations in 6 markets (14 FM and 5 AM). In 5 of those markets, RBC operates three or more stations. Every day Renda Broadcasting delivers entertainment and information to over 1.7 million listeners. Tune in and you'll find music, news, comedy, commentary, debate, and inspiration. Affiliates of RBC include Renda Radio, The St. Pier Group, LLC, The Springhill Group, and US Events and Marketing. *Make-A-Wish® Greater Pennsylvania and Southern West Virginia grants wishes of children with life-threatening medical conditions to enrich the human experience with hope, strength and joy.